In this post-post modern era, there are still incidences of unnecessary critique of genre. I hale from an academic background, but you will never hear me mock Fantasy, Science Fiction, or Romance genres. Perhaps this is because my area of expertise, Gothic literature, was previously hounded and mocked for the famed “penny dreadfuls” that sold like Beanie Babies™ during the 19th century. Perhaps it’s because the author upon whom I focused for my Master’s thesis has a mixed reputation in the academic circle (Edgar Allan Poe). Or maybe, I just get it. I don’t mean to sound egotistical. But seriously, in this day and age, we still find ourselves in petty arguments concerning legitimacy and we still cast out certain types of writing because they are not considered “high literature.” I consider myself to be a literature snob in a lot of ways, believe me. But I believe that Romance has a place in scholarship and in the marketplace. There are a number of factors that affect “legitimacy” of a work, not the least of which is quality of writing. I’ve read some atrocious writing in my life, some of it published in the traditional fashion too. But harping on an entire genre and the readers who ingest it like there’s no tomorrow has got to stop. So today, as I’ve said, we will discuss openly Romance genre fiction. Is this a genre I pick up consciously? No not really. Is this a genre I have read? Absolutely. Anyone who wants to be a writer has to read and I believe it’s important to read everything. Is this a genre I respect? For sure! Some of the members of my all women writers’ group claim this genre as their own and I absolutely respect their writing and their skills. Their skills and writing style are different than my own. And that’s what it’s all about. Everyone has their forte. Everyone has their subject of preference. Everyone has their genre. And this includes our readers too! 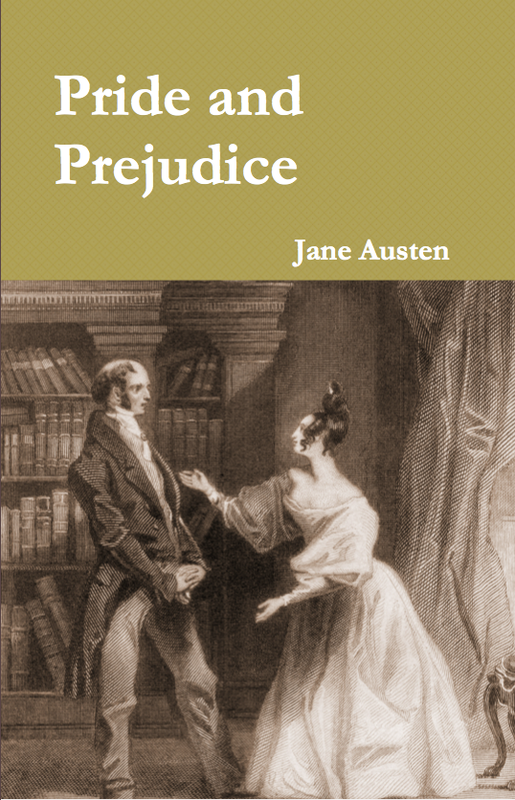 P&P is also called a “Romance novel.” Found on Google images. The subject of the Romance genre is particularly charged because of our overall societal sensitivity to the portrayal of women and their needs/desires/worth. I bring this subject up today because of a recent article published by The Smithsonian titled “Why can’t Romance Novels Get Any Love?” This is a fantastic piece which details the struggles of certain scholars to bring this significant genre to the realm of literary studies. Romance writers are prolific and it is one of the most popular genres among readers (even if some of them won’t admit to it). According to the article, Romance fiction gets no respect in literary studies in part due to the issue of “empowerment versus oppression.” Issues of legitimacy used to pervade literary studies, but thanks to Frantz Lyons (referenced in the article) the academic view of Romance studies is changing. Ideally, they hope to one day have a graduate level program focused upon this genre and now there is a journal titled The Journal of Popular Romance Studies. All of these are good steps towards acceptance in academic scholarship. But in a world that is categorized by “THE CANON” or “THE BIG 5,” etc., it’s been a hard sell. People who wave “the canon” flag are old, crotchety and entrenched in their ways. They do not see the benefits of change or the future of writing, publishing and readership. Other parts of academia have changed though and the article brings up a solid point in regard to this. Romance Studies has been slow in appearing in academia despite the advent of pop culture studies in universities across the country. I personally sat through a lecture with a friend who asked me to attend an alumni event for Drake University (I did not attend Drake University, I just went along for the fun). I happily went and was treated to a phenomenal discussion concerning Taylor Swift and Lady Gaga and how both individuals can find a zone of popularity in society when they are so very different and what does this say about our society and the ways in which we live today? It was a phenomenal conversation and I loved every bit of it. The best part? The lecture was led by a Literature professor! So why not study Romance? Love, loss and sexuality are all vital components of the human condition and experience. And the themes you discover in a Romance novel are legit. In a course taught at Princeton University, Professor Gleason (referenced in the article) introduces students to earlier pieces from the genre and through reading them, students learn an interesting lesson. “After these earlier novels, students have a better sense of what it means, culturally, for a narrative to permit love to flourish,” states Professor Gleason (quoted in the linked article). This sounds like a fascinating conversation and is one I would love to participate in as both a student and a writer of historical fiction. Why are we so afraid to embrace Romance then? Is it the writing style? Perhaps some of it isn’t “refined” enough, but if you look back at some of the “accepted and embraced” pieces of literature, you will find a plethora of examples of writing that falls short. And that in of itself is all a matter of taste and preference. Perhaps it’s the characters. There are some stereotypes in this genre that make it difficult to accept for some people. But it’s not the only genre that has at some point relied on stereotypes. I will be the first person to admit that traditional Gothic literature is ridiculous. The tropes, the symbols, the heavy-handedness. All of it. And on top of that, the way women are portrayed in those original stories is terrible. The female lead character (because she lacks agency to such a point that there is no way one could legitimately call her a heroine) is the most cyclical being I have ever encountered in literature. It’s laughable. But the genre is worth studying for many reasons, but most importantly here because it has such a vast influence on what we read today, even if most modern readers aren’t aware of it. So too does Romance. Lastly, I must return to critical theory and my reference of the post-post modern era at the beginning of this post. Yes, I know we can’t define post-post modernism because, as literary studies teaches, you cannot define an era until you have exited from it and can look back on it with some form of understanding and authority. But, from what I understand of post-modernism, there is no going back. Post-modernism heralded the fracturing of media and symbols (at a very basic level, mind you). The easiest way to frame this is to think of the word ‘boat.’ Post-modernism says that we will all imagine different kinds of boats while Modernism would have said that we all think of the same boat. I hope that makes sense. But if not, the point is, once things have become individualized, things will only continue down this route. The fracturing is in part due to the capabilities of the individual thanks to technological advances. Therefore, in my belief, it is impossible to go back around to the singular mindset of modernism. Regardless, of what your opinion might be concerning critical theory, I support the expansion of literary studies to include the Romance genre and I am interested to see where the fight takes them and where the opening up of conversations concerning this genre takes the concept of literature.